We'll have demos of games for several different systems running in our booth at the Portland Retro Gaming Expo. This thread will highlight some of those games! 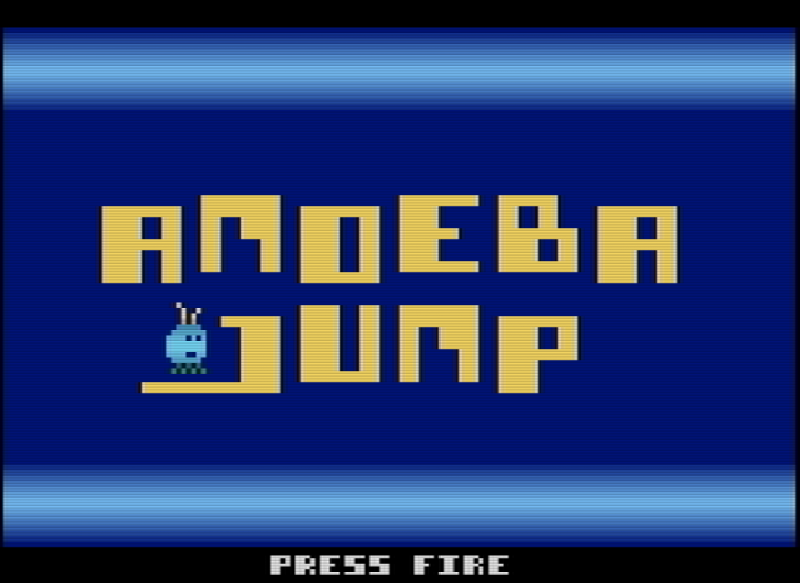 Amoeba Jump is a vertical jumping game for the Atari 2600 where your objective is to guide an amoeba (a single-celled creature) up a never-ending series of platforms without falling. The higher you get, the higher your score will be. Jumping on a red or green spring-button will give you a short boost and some bonus points, but best of all: it makes the little amoeba rejoice! When your score gets beyond 1000 points, little oval-shaped bacteria can appear on the platforms, which can be eaten by the amoeba. Each bacteria holds one of the six letters of the word A-M-O-E-B-A. Collect all six and the single next time you jump on a spring, you will get a super boost. The screen wraps around, which means that the Amoeba can leave one side of the screen and immediately reappear on the opposite side. You're going to need this to reach some platforms! 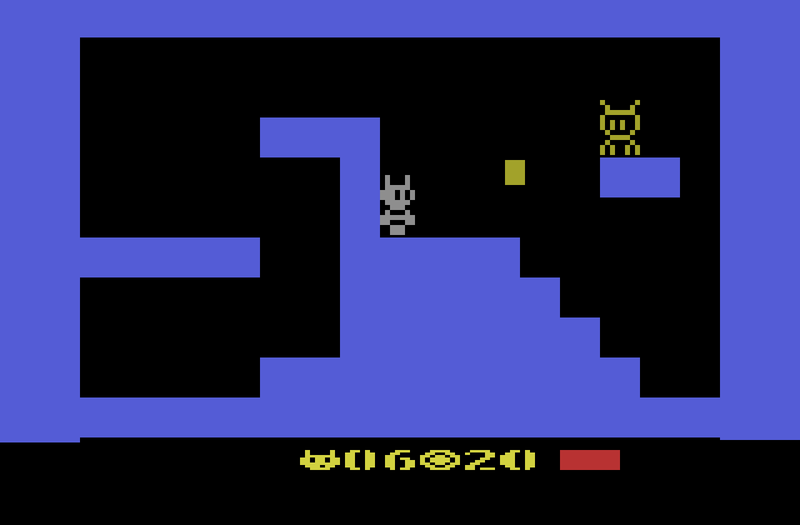 Amoeba Jump is the first Atari game developed by Dion Olsthoorn. He initially planned to build this game for the Commodore 64, but after reading the book "Racing the Beam" he decided to buy an old Atari VCS and challenge himself to write a game for this strange, limited but wonderful machine. 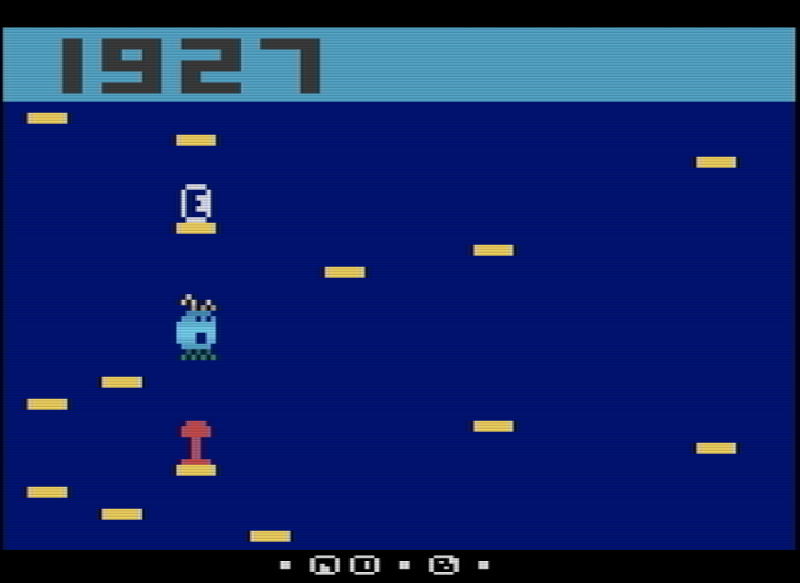 Multiple player modes: 1 player (yellow or blue, with or without robot player), 2 player simultaneous. I said it before...this was not the year to miss PRGE. The enemy have just attacked. The defense force held them back...this time. Only one functioning attack craft remains intact. Climbing aboard you prepare to scramble against the opposition fleet before they can return to complete their invasion. This is it. The last hope. The last chance. The Last Strike. 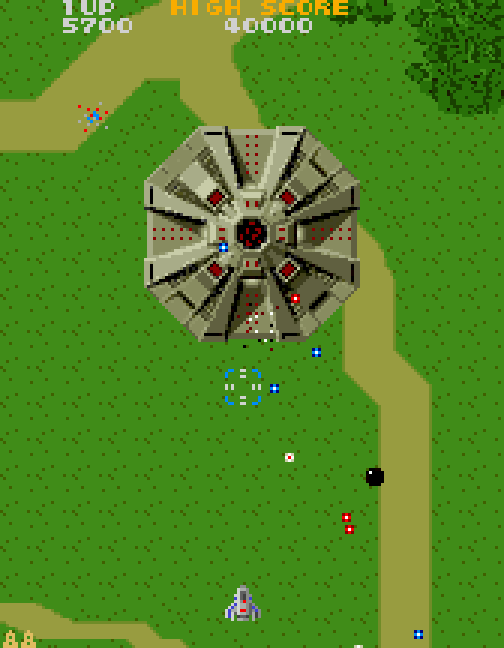 Last Strike is an upcoming Atari Jaguar shooter from Reboot, the team behind Rebooteroids. Fight back against the unknown enemy while rescuing survivors to attempt to secure the fate of your planet and your race. Spread across multiple stages, Last Strike features a full soundtrack, story mode complete with cut scenes, along with a classic play mode and many other extras. 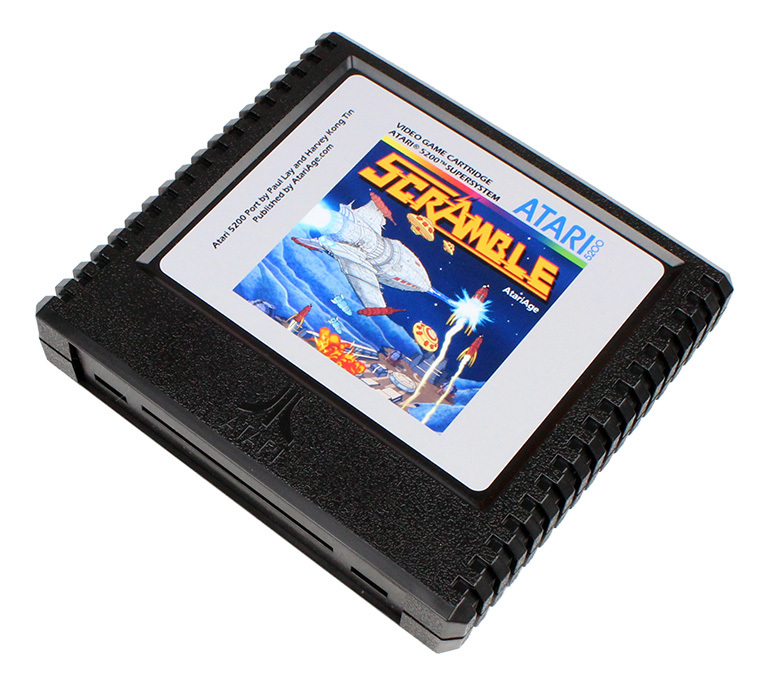 The classic arcade game Scramble finally makes its way to the Atari 5200! 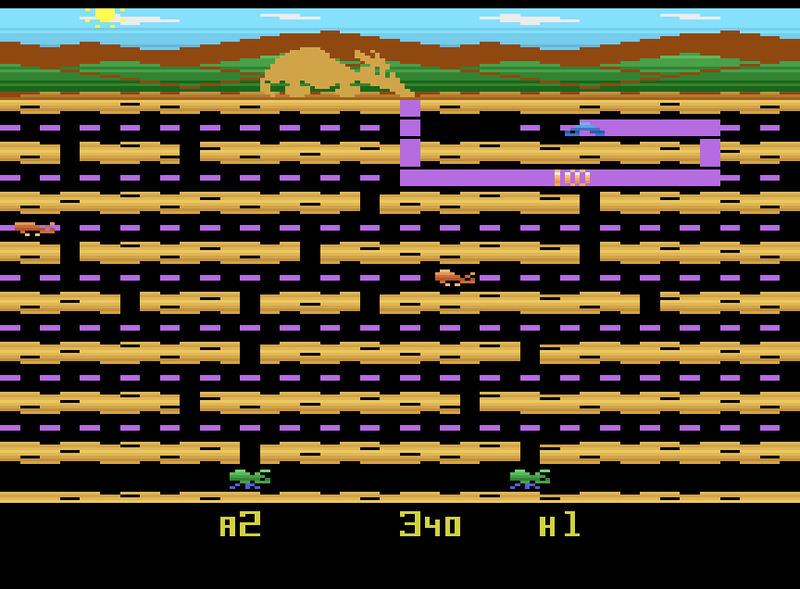 Paul Lay and Harvey Kong Tin have created a new version of Scramble from the ground up, and it really shines on the Atari 5200! Fresh, new graphics draw you in immediately, breathing fresh life into a timeless classic! 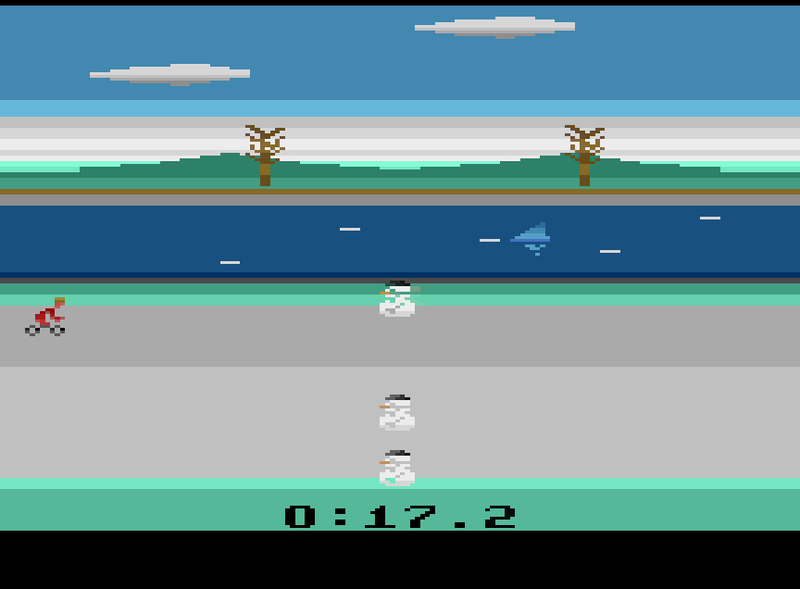 'Not Outrun' is a work in progress game by SporadicSoft for the Atari Jaguar. 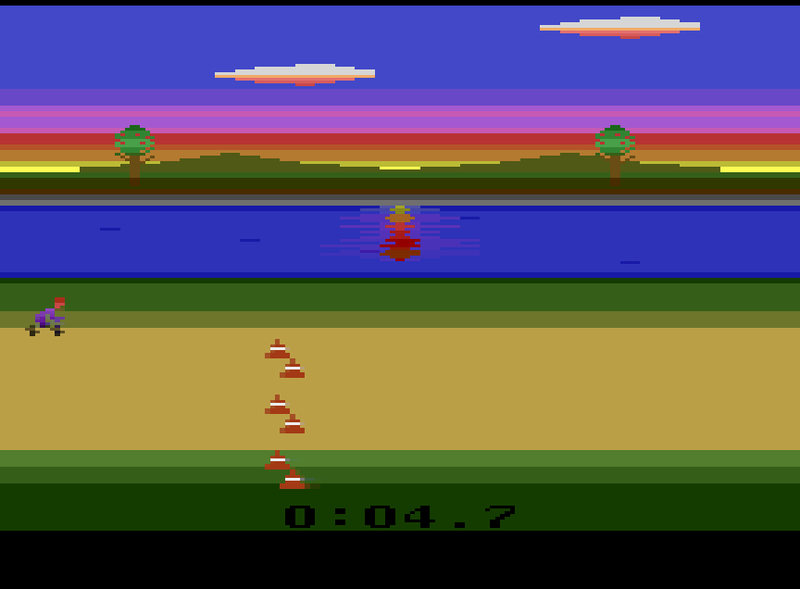 The game features the classic 2.5D graphical style of various driving games from the 80's and 90's. With sweeping hills, sharp turns and undulating roads, the developer is aiming for a fast driving experience ensuring the player has fast reaction times. Crumbs! 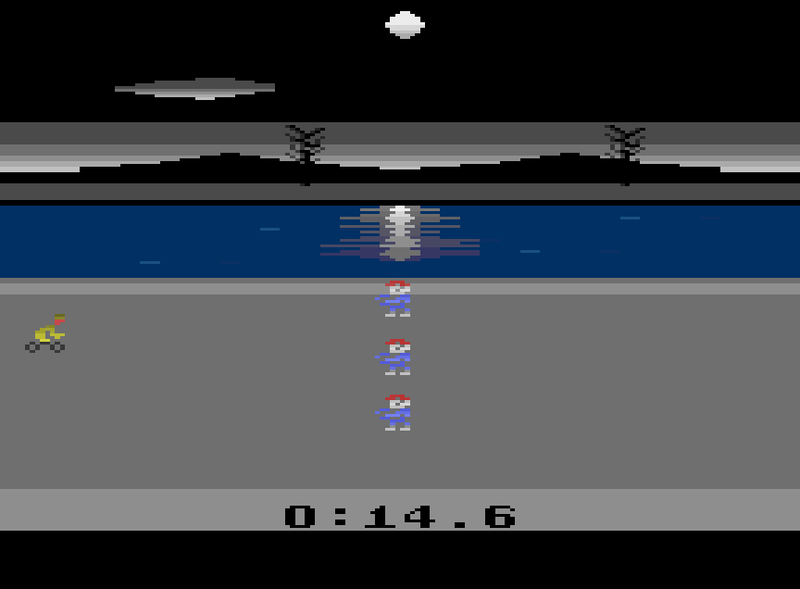 is a work in progress game by SporadicSoft for the Atari Jaguar. 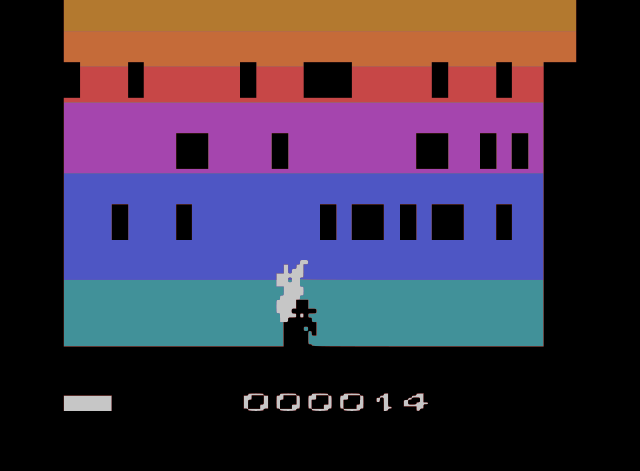 It's a 3D view on a classic game. 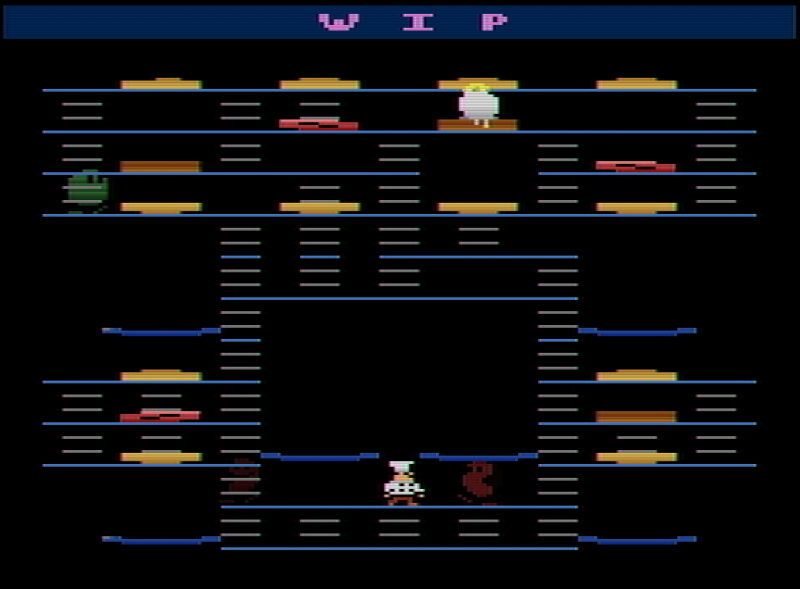 The player must navigate the maze to eat all the crumbs while avoiding the ghosts. There are power-crumbs scattered around the maze to collect which provide the ability to eat the ghosts and send them back home for a short time. Over the past few years, Thomas Jentzsch and Jeff Johnson have added this magic to several additional games, bringing the total number of games modified to use a trak-ball or mouse to eleven! Additionally, many of these games support all three controller types in a single cartridge! These versions can detect which controller you have plugged in. 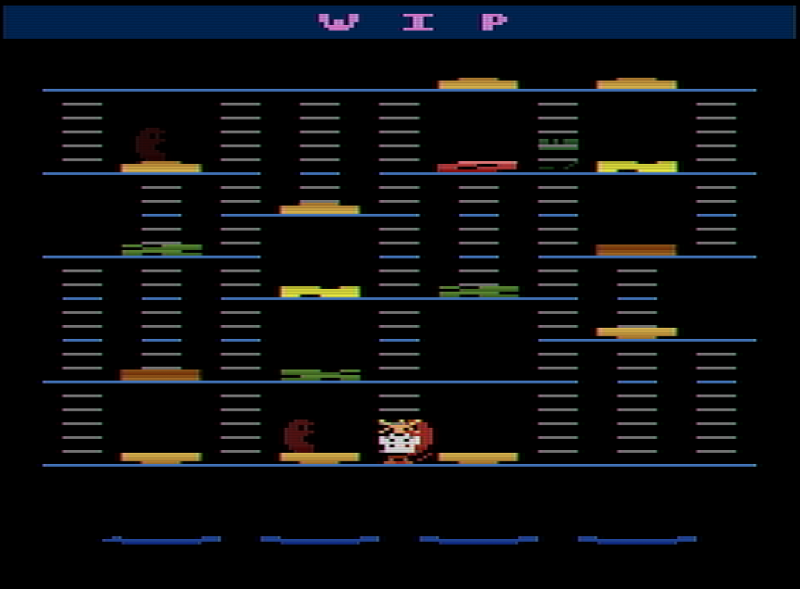 Some of the larger games (such as Marble Craze) still require a separate cartridge for each controller type (CX-22/CX-80, Atari ST Mouse, and Amiga Mouse). All of these trak-ball hacks are available in NTSC and PAL versions. We don't have these in the store yet, but we plan on adding them after PRGE. All of them available to play at the show! Guide Robo-Ninja through a tower of spikes in Robo-Ninja Climb, a new action game by Nathan Tolbert. Dodge the spikes and lasers by jumping from wall to wall. Make sure to climb quickly or the spikes at the bottom will make short work out of you! Climb your way through 5 levels of action, collecting power-ups along the way. 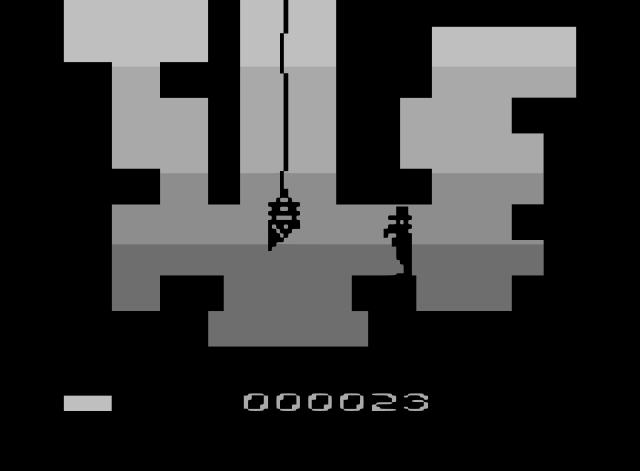 Robo-Ninja Climb is a direct port of the NES homebrew game of the same name. Welcome to the nature! Guide Bongy the Aardvark in its quest for the most delicious ants hidden in the earth. 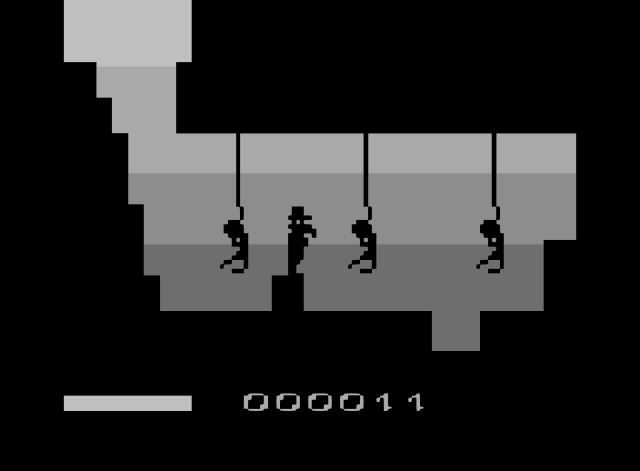 The Bongy's tongue is pretty sensitive and you should be careful when searching in the ants' catacombs, because if ants touch the body of your tongue then Bongy will lose a life. The most delicious ants, the queen ants, are deep in the chambers of catacombs, but watch out, as there are poisonous worms that should be eaten only from the back. And in the night there can appear deadly spiders that you should prevent from touching the tip of your tongue. You can choose your starting level if you're an experienced player, number of starting lives, and when you receive a bonus life. You can also select your playing mode from Novice, Easy, Normal, Hard and Expert. 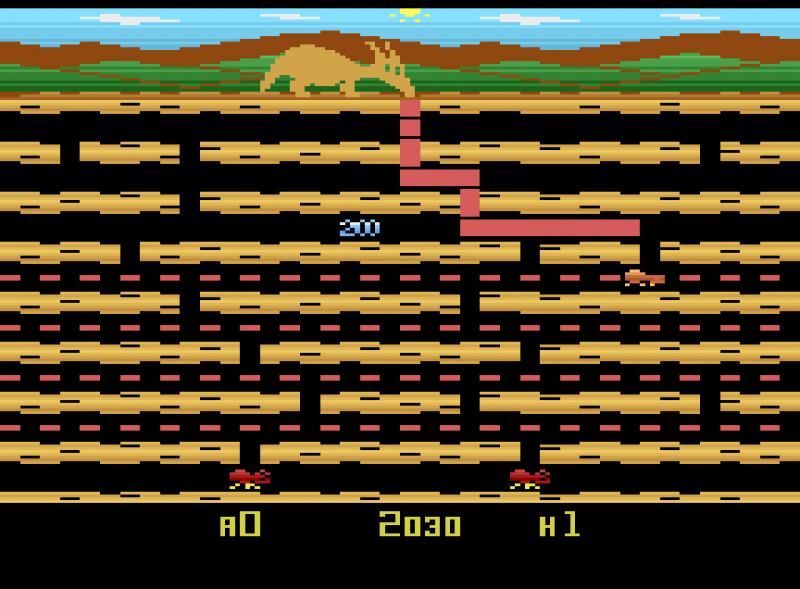 Develop a strategy to enter the anthill, as the game gets progressively harder as you advance! This addictive game takes the Atari 2600 hardware to its limits in this 32K game with extra RAM. Game programmed by the highly-respected developers Oscar Toledo G. (nanochess, author of Space Raid) and Thomas Jentszch (Thrust/Cave 1K). Artwork and graphics by cartoonist Nathan Strum. 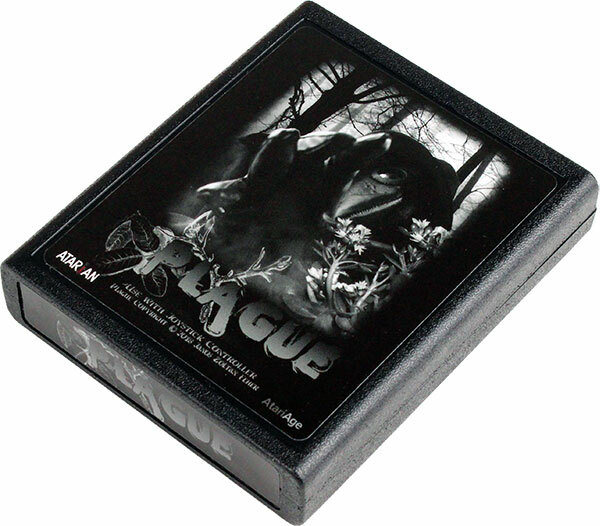 Plague is about a doctor of a less hopeful age as the fatal illness spread and brought disease to the lands, searching for ingredients for the medicine that could save people. Your main goal in the game is to progress from screen to screen, avoid hazards and collect the shiny herbs that stand out from the dark environment. Remember, the doctor can't fight back. If you get injured, you can use one of the collected herbs to heal yourself, but that would reduce the chance to find the useful combination in the last segment. 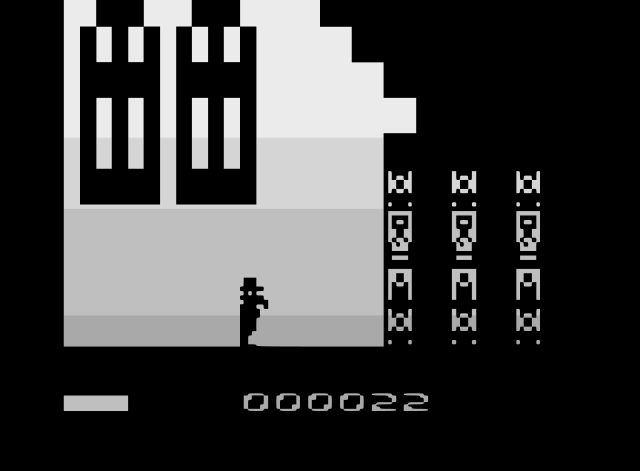 The game contains several unique rooms and puzzles, a boss fight and a little pharmacy. Game programmed by the highly-respected developers Oscar Toledo G. (nanochess, author of Space Raid) and Thomas Jentszch (Thrust/Cave 1K). Artwork and graphics by professional animator Nathan Strum. Wow This game has come a long way from last years demo at PRGE. Can't wait to buy this one. Odd-It has returned to the Crescent Galaxy to make sure that the adventures of Trevor and Friends never end. Whether it's dodging pipes as a disembodied jaguar head in Flappy McFur, playing space tennis with a friend in Odd-Ball, or surviving on a merciless planet in order to see another day in Odd-It Will Be Watching, Crescent Memories is sure to bring a little bit of something for everyone to enjoy. 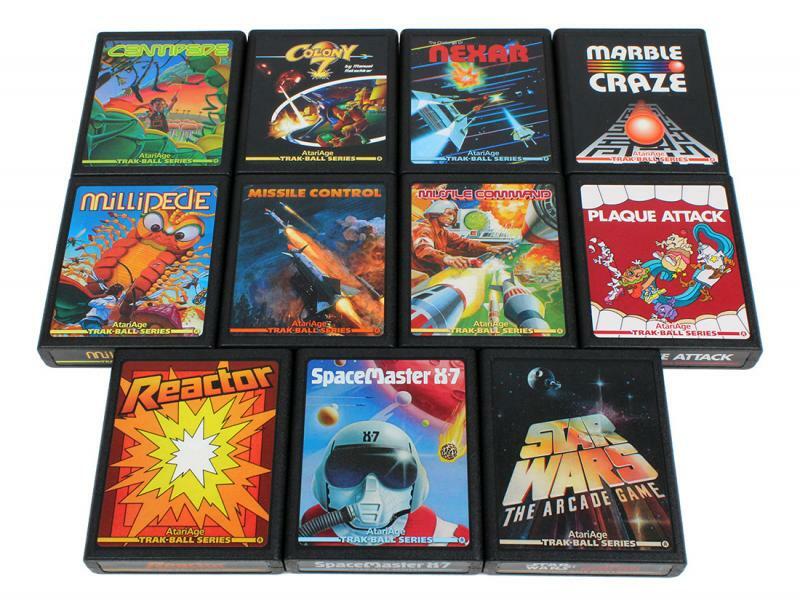 Crescent Memories will include 3 games packed into 1 cart. Flappy Mcfur, Odd-Ball, and Odd-It Will Be Watching. 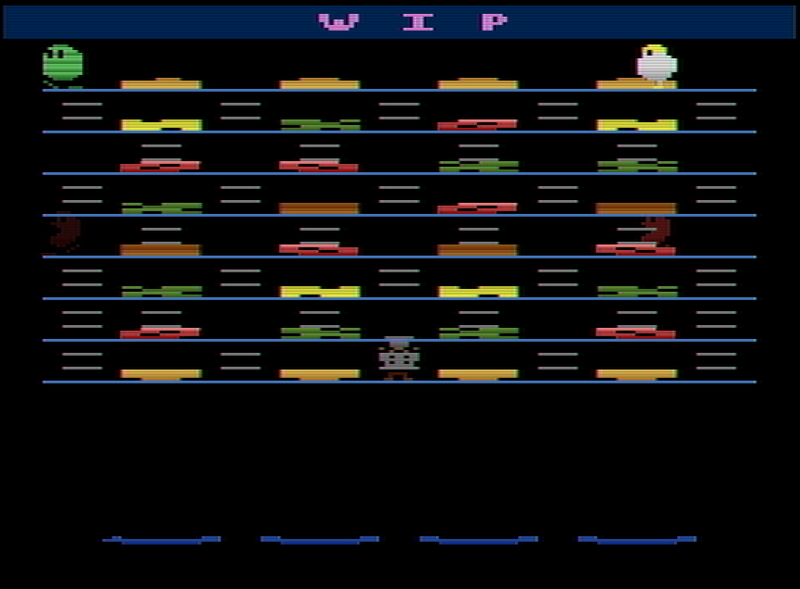 Flappy McFur is based off the unexpected hit Flappy Bird, with some additional gameplay modes and elements to add to the already addictive nature of a modern classic. Flap your way to the Crescent Galaxy dodging pipes and collecting coins. Odd-Ball is a new twist on the familiar table tennis format. With holes at the top and bottom of the screen, and obstacles with game altering pickups that traverse the center of the screen, be ready to create unfamiliar strategies in order to beat the CPU or your human opponents. Odd-It Will Be Watching pits you against the environment of an unmerciful far flung planet. You must survive 64 days trying to keep your crew warm, their belly's full, and sane enough to not give up hope of rescue. Get set for the race of your life! With Tyre Trax MTB you are about to embark on a daredevil race across challenging terrain and weather conditions. Are you up to the challenge? Oil your chain, test your brakes and grab your helmet, happy trails! Tyre Trax MTB is a twitch / reaction racer. The aim of the game is to complete each course in the shortest possible time, avoiding the obstacles and reaching the GOAL! line. Your time is shown at the bottom of the screen. There are four unique course settings : Daytime, Sunset, Winter and Night, each with its own challenges and perils. Avoid the water or you will be sleeping with the fishes! 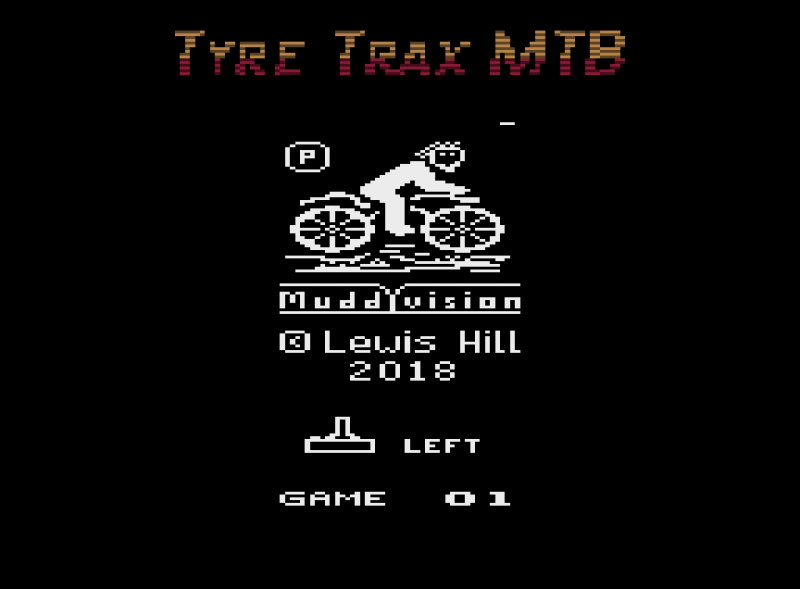 Just like riding a real bike, you will need to get the feel of the controls in Tyre Trax. Don’t worry about falling off, even at the slowest speed your rider will stay in the saddle. 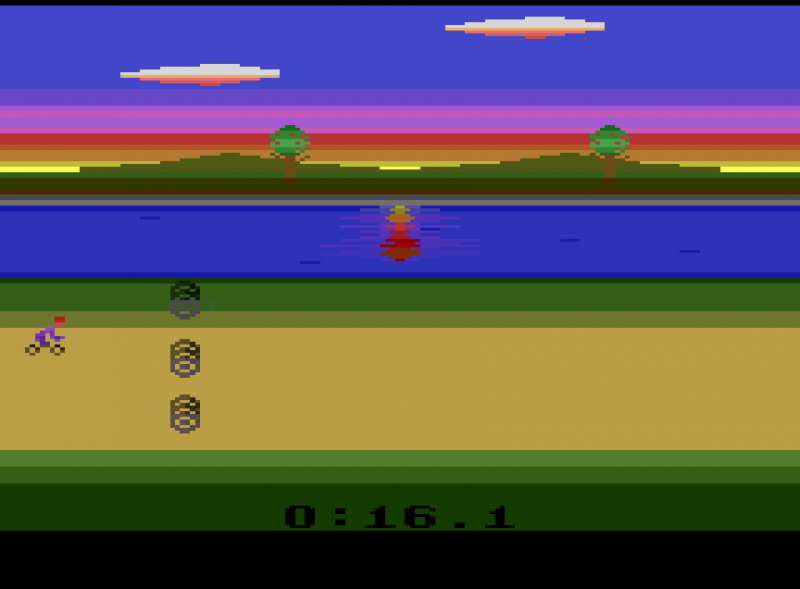 The game is mastered by learning the courses and learning where best to position your bike to avoid the next set of obstacles. If you hit an obstacle you will slow down, costing you precious time. Chaotic Grill is an attempt to bring a new version of the arcade classic BurgerTime to the Atari 2600. 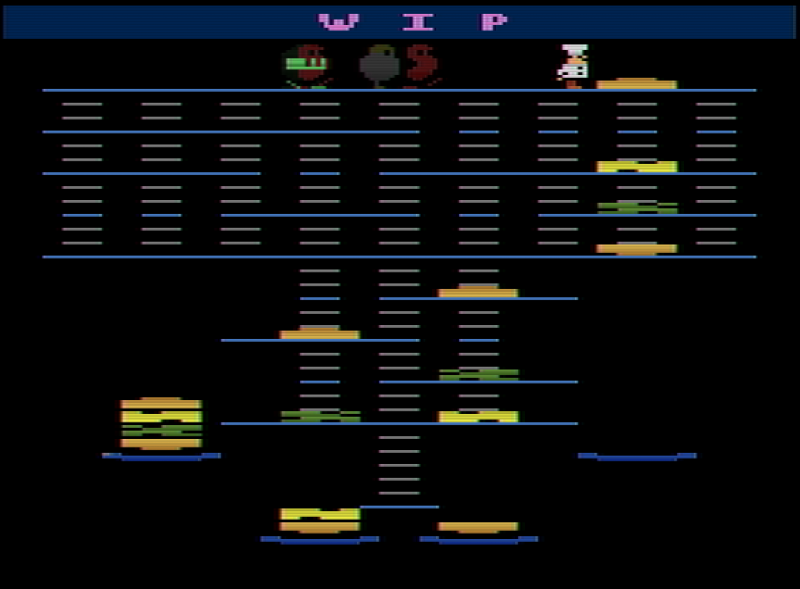 With a grill in the midst of chaos, you control Pete the chef to build burgers for eagerly awaiting customers. Sounds like an easy job, right? 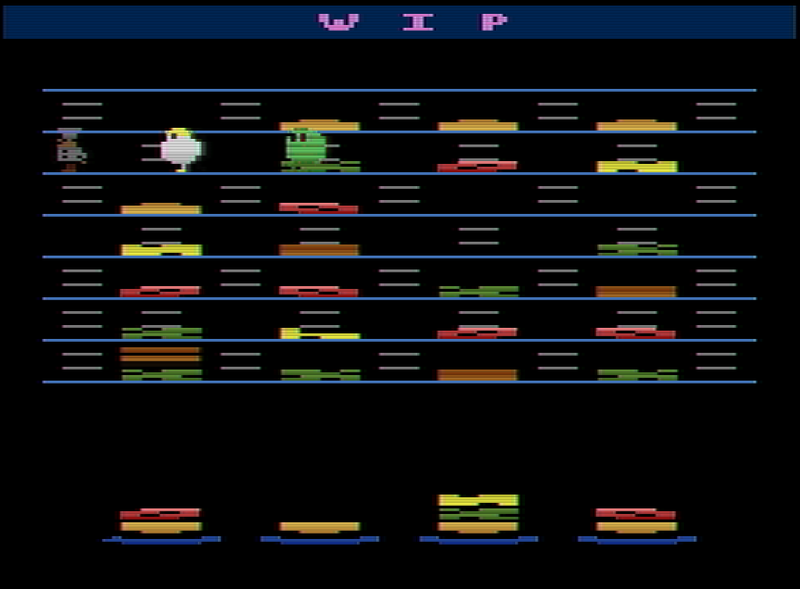 Well it would be if it weren't for some other pesky ingredients trying to interfere with your burger assembly line. It's chaos on the grill. But you can manage, right? One robot remains in the force and it's up to you rescue your fallen robot colleagues. You control the last Robot, Robot Zed. 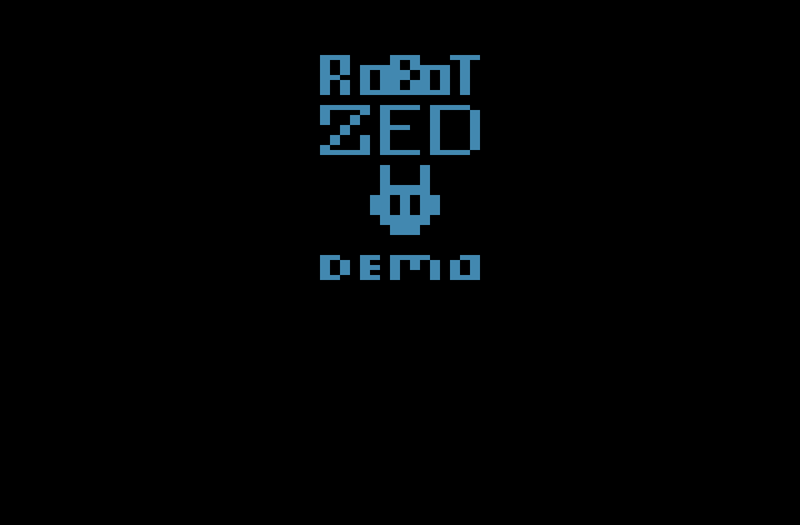 In this demo, you run through a rogue-like, horizontally scrolling base level to find and locate one of the fallen robots, to take back to your base for repairs, so you can use their abilities in future levels. 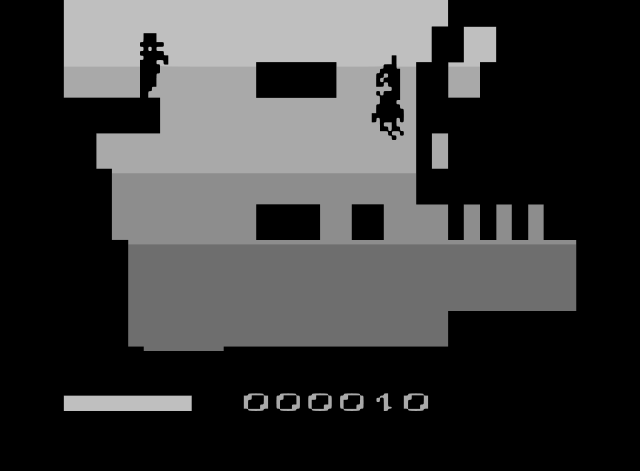 But to find your buddy, you must run through the base and battle the enemy's own robot force. There are four different robots in total. The standard robot will sometimes supply you with energy when defeated. The other three robots will give you their power once defeated. After you gather their power you can change with down and jump to cycle through your collected powers to pick. Be careful with how much you use them. Every time you use a special power, it'll drain your power tank. Once you run out, you will return back to normal power until you gather more power capsules from those three special enemies. Good luck in your quest and don't forget to have fun! 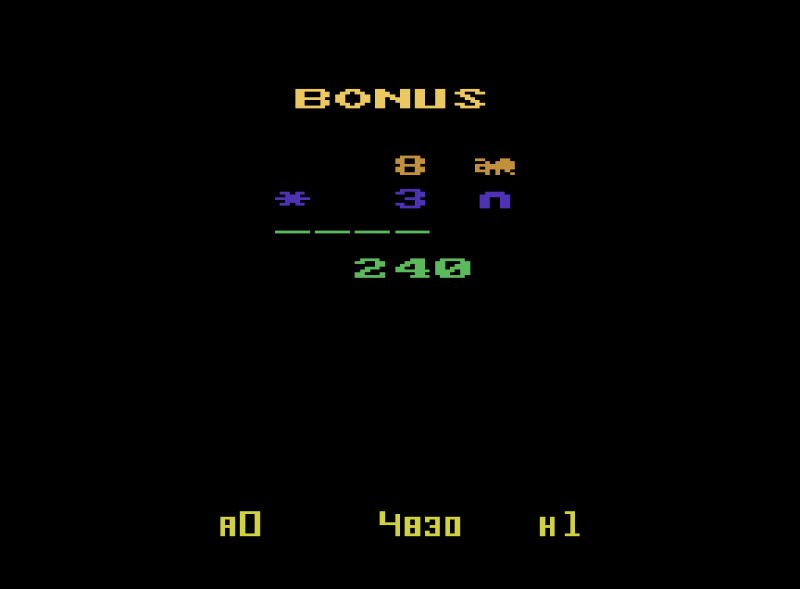 Xevious is a vertical scrolling shooter arcade game released by Namco in 1982, and distributed by Atari in North America. 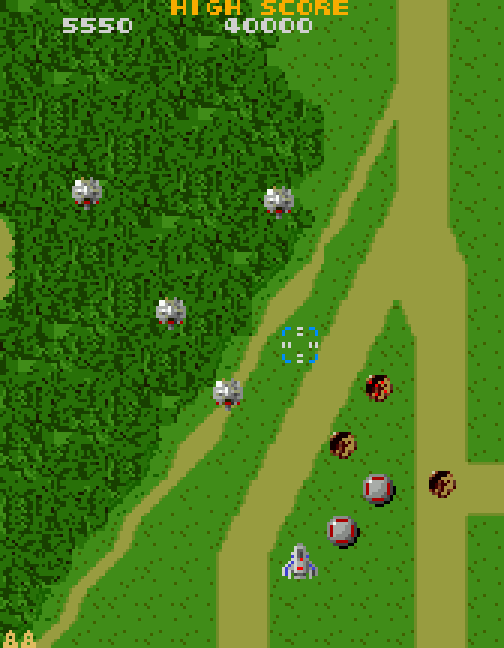 In Xevious you pilot a combat aircraft called a Solvalou. 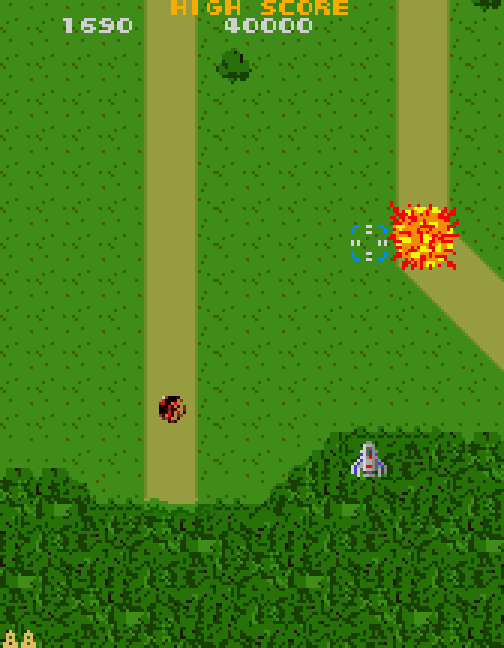 You will fly through a host of flying enemies and land-based obstacles that try to shoot you from the sky. 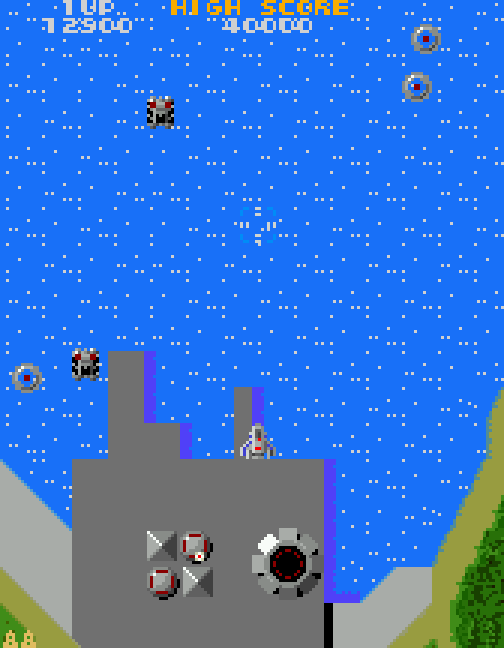 Your mission is to reclaim the enemy-occupied Earth by shooting and bombing the enemy into oblivion. 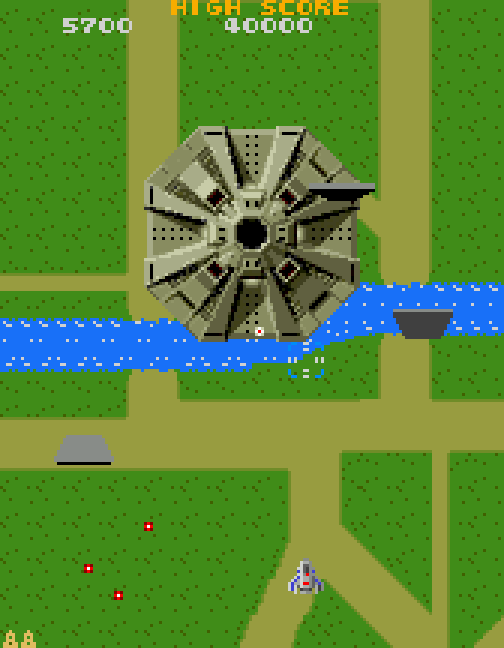 You must skillfully pilot your spacecraft through harder and harder encounters with the enemy. 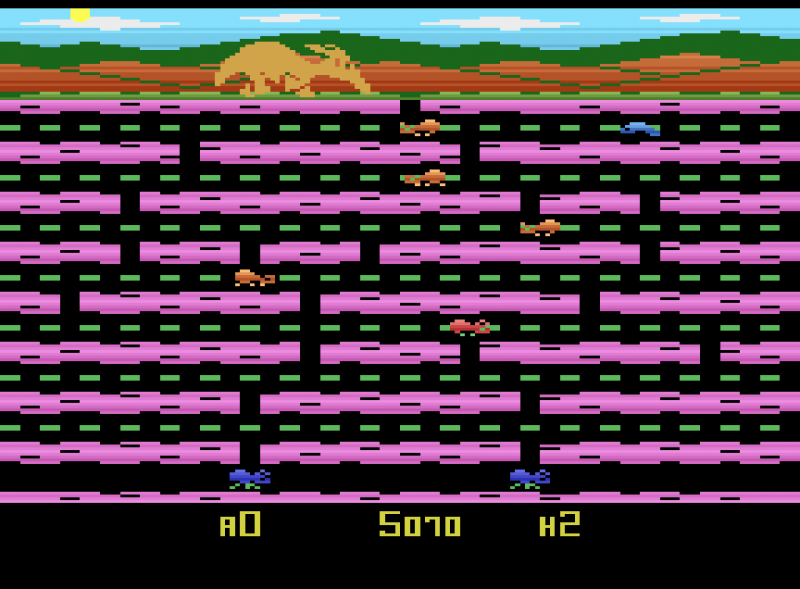 The Jaguar version of Xevious was written from scratch by Shamus Hammons. 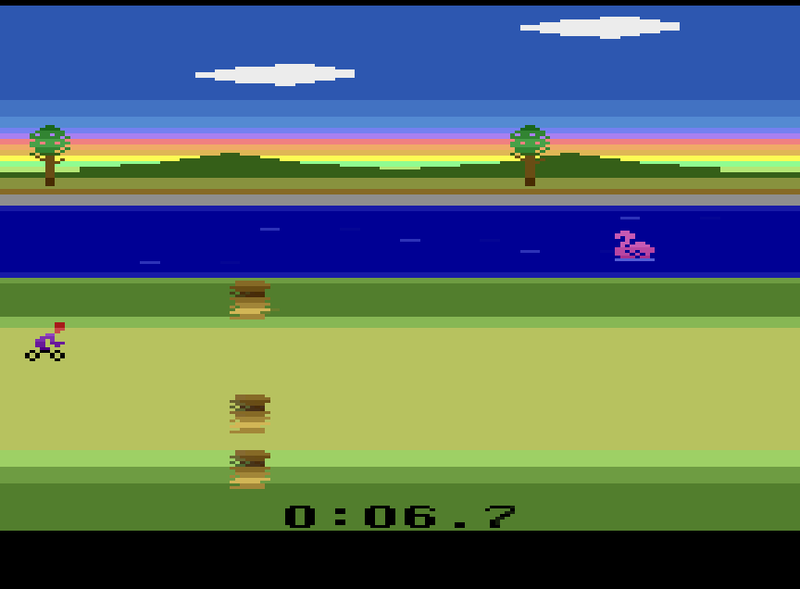 It’s a very faithful rendition of the arcade game, and even maintains the proper aspect ratio, which is why black bars are visible on the left and right sides of the screen in the Jaguar version. 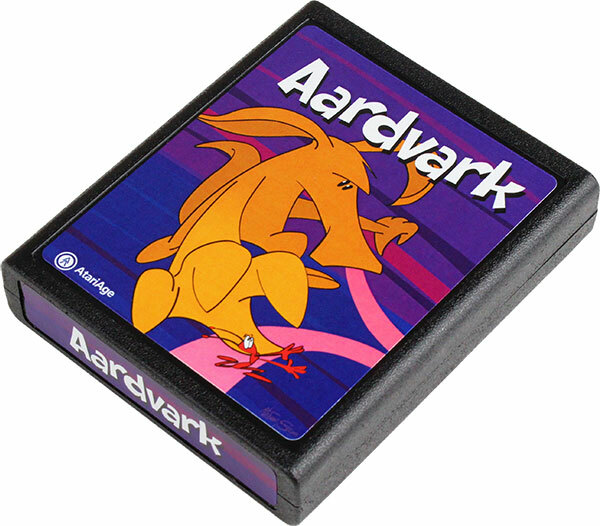 Played Aardvark at PRGE last week...and loved it! Anybody know when I can buy a boxed copy? Shouldn't take too long anymore. I hope we can make it before the end of the year. It won't hit the store until sometime in the near year.